Liverpool winger Sheyi Ojo is reportedly attracting interest from West Bromwich Albion as Jurgen Klopp could opt to sell the £15m-rated ace. The Reds have plenty of attacking quality in the wide positions at the German tactician’s disposal already, with summer signing Xherdan Shaqiri adding to Mohamed Salah and Sadio Mane to support frontman Roberto Firmino in a dangerous attacking trident. With that in mind, it’s questionable as to whether Ojo has a decent shot at securing regular minutes for the senior side moving forward, and that seemingly has raised doubts over his future at Anfield. According to The Express, Liverpool may be willing to allow him to leave if a £15m offer was to arrive for the 21-year-old, with West Brom said to be keen. Whether or not the Baggies are ready to meet that valuation given that they’ve just suffered the disappointment of relegation to the Championship remains to be seen, but ultimately there could be an opportunity to land the talented youngster given the not-so-positive outlook on his future at Anfield. 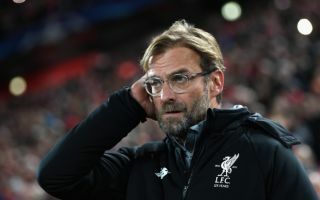 Time will tell though if they make a satisfactory offer and if Klopp is willing to sell, as the Liverpool boss will also have to consider having the quality and depth needed to compete on various fronts next season. Resting the likes of Mane and Salah will be crucial to keeping them fresh in the latter stages of the campaign, and so perhaps having Ojo as an option in the domestic cup competitions and Premier League could be a sensible strategy to help with his development too. Nevertheless, from the player’s perspective, in terms of securing a prominent role at a crucial stage in his career to gain experience and develop his game, he may well be better off considering an exit this summer.